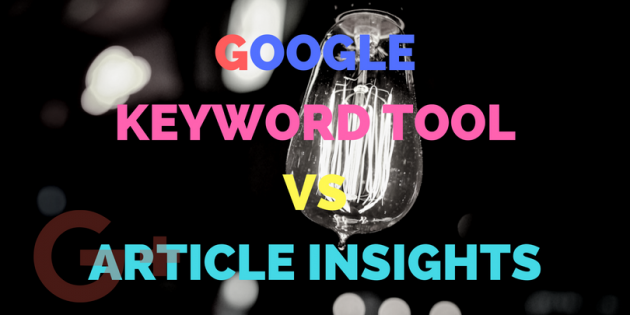 A common question I get is, what is the difference between using Google Keyword Tool vs Article Insights? The best way to answer this is to go through a typical article writing process. 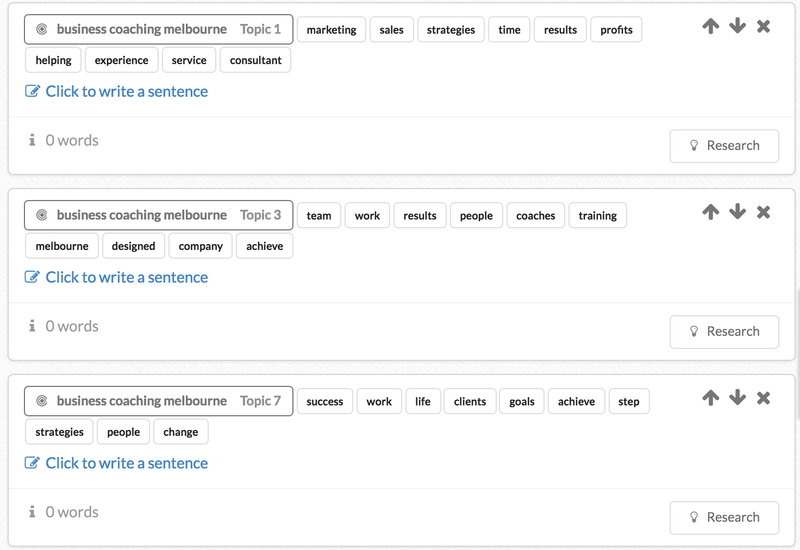 Want keywords & topics like these? If you had to write an article, where would you start to get an idea of what is a popular topic? A simple method is to open up the Google keyword tool and see what keywords are available. The keyword tool is excellent for telling you what your next article title should be. You can choose any of the suggestions and have your article title ready to go. “Small business coaching melbourne” etc. The problem is, now that you have a keyword… what words and topics should you use in the article? But what are your customers looking for when they are searching for a “business consultant/advice/mentor”? With just the keyword list above you would have a hard time answering that question. Immediately there is a big difference. 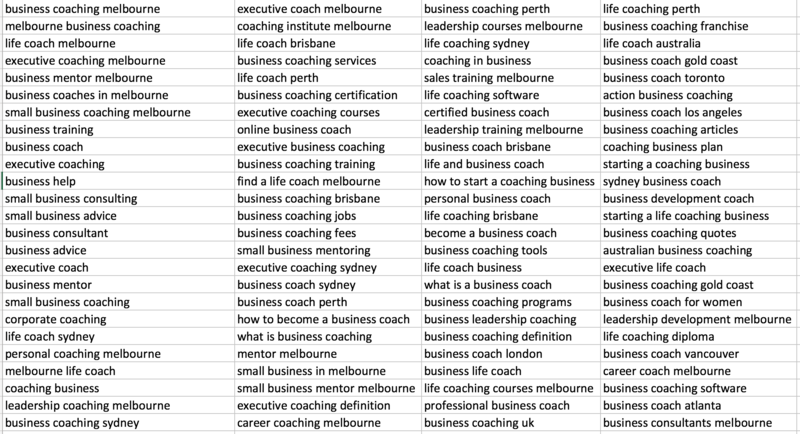 If you’re article title is “Small business coaching melbourne” and you wanted to know what your customers are looking for, going down the keyword list gives you. So for your next article, instead of using words like “mentor/advice/consultation” from Google Keywords, you can write an article for small business owners who need help with “marketing/training/sales/goals”. It is hard to write an article about “mentor/advice/consultation” because these are broad generic terms. There is no “meat on the bone” as it were. However your mind should be lighting up with examples of “marketing ideas” or “training tips” to help business owners. If you didn’t know exactly what “business coaching” meant, now you know that your potential customers are looking for help with “sales” and “goals”. Just having those “meaty keywords” can really illuminate the ideas and topics for your next article. 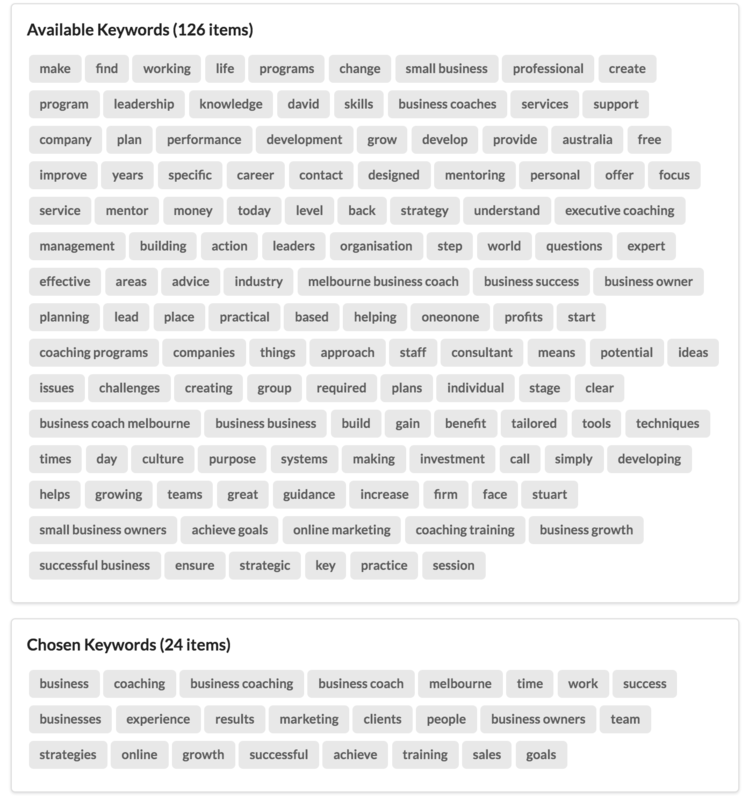 If all Article Insights gave you was keywords, it would be a great tool. However it even gives you article topics to make it an Amazing Tool. ArticleInsights ships with a clever little bot that is able to group related terms together into article topics. If you were not an expert in “business coaching” you may not have known about these article topic & word relationships.